In the mid-1960's I had the pleasure of attending a talk by Lotfi Zadeh at which he presented some of his basic (and at the time, recent) work on fuzzy sets. Lotfi's algebra of fuzzy subsets of a set struck me as very nice; in fact, as a graduate student in the mid-1950's, I had suggested similar ideas about continuous-truth-valued propositional calculus (inffor "and", sup for "or") to my advisor, but he didn't go for it (and in fact, confused it with the foundations of probability theory), so I ended up writing a thesis in a more conventional area of mathematics (differential algebra). I especially enjoyed Lotfi's discussion of fuzzy convexity; I remember talking to him about possible ways of extending this work, but I didn't pursue this at the time. 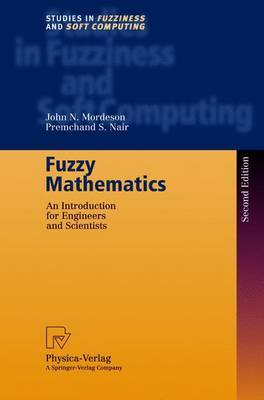 I have elsewhere told the story of how, when I saw C. L. Chang's 1968 paper on fuzzy topological spaces, I was impelled to try my hand at fuzzi- fying algebra. This led to my 1971 paper "Fuzzy groups", which became the starting point of an entire literature on fuzzy algebraic structures. In 1974 King-Sun Fu invited me to speak at a U. S. -Japan seminar on Fuzzy Sets and their Applications, which was to be held that summer in Berkeley.